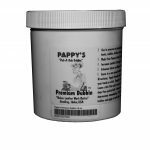 Includes 6 ounces of Pappy’s Premium Dubbin in a solid white container. 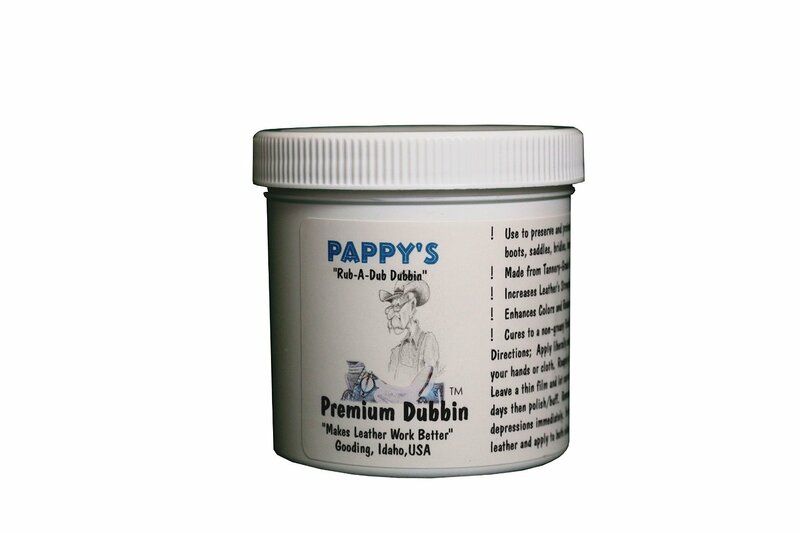 Pappy’s Premium Dubbin is my original and most popular product. 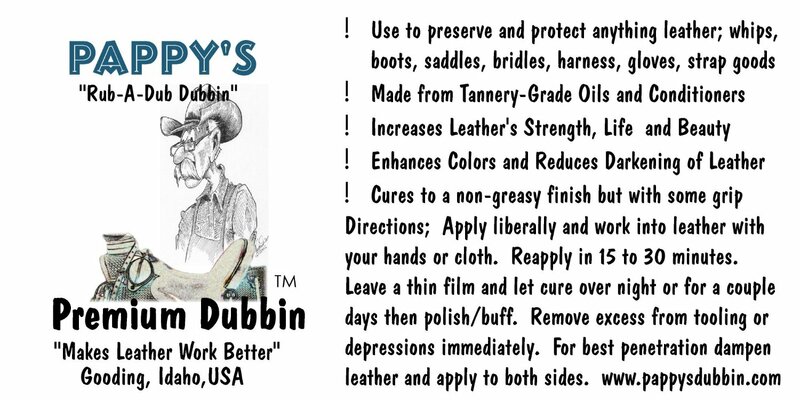 Great for preserving your leather goods, including saddles and tack, leather cycling saddles and hand grips, braided whips, leather shoes and work boots, crafts, tool pouches, belts, baseball gloves, and many more. 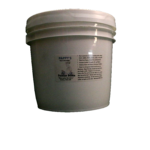 Order our 6 ounce container on this page, or select a difference size from the options in the lower left of this page, including 2 Ounce, 16 Ounce, and 1 Gallon.